There are popular tax deductions under the provisions of Income Tax Act under sections such as 80C, 80D, Section 24, among others. There are popular tax deductions under the provisions of Income Tax Act under sections such as 80C, 80D, Section 24, among others. But there are some tax deductions that not many taxpayers are aware of, but these deductions can help save a good amount of tax of an eligible taxpayer. 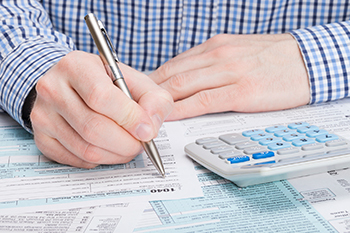 Let us take a look at these tax deductions and how taxpayers can save their tax by taking advantage of these deductions. Capital gains vs capital losses: While taxpayers are aware of capital gains tax, they may not be aware that capital losses incurred by them can be offset against capital gains. So, if a taxpayer has made a capital gain of Rs 10 lakh on selling his property but suffered a loss of Rs 2 lakh in the capital market, the capital loss can be set off against capital gain so that his net taxable capital gain would be Rs 8 lakh. However, it is important to note that short term capital loss can be set off against short or long term capital gains, but long term capital loss can be set off only against long term capital gain. Expenses on treatment of dependents: The expenses incurred by the taxpayer on treatment of a dependent suffering from specified diseases and illnesses qualify for deductions under section 80DDB. The dependents include children, parents, spouses and other members of the family. The maximum amount of deduction allowed is Rs 40,000 per annum, and if the dependent is a senior citizen, the maximum amount is Rs 60,000. Some of the specified diseases include Parkinson’s disease, chronic kidney failure, haematological disorders, among others. Donations to political parties: If an individual taxpayer or a company makes a donation to a recognised political party in India, such donation qualifies for deduction under section 80GGC for individual taxpayer and under section 80GGB for corporate donor. The amount of contribution eligible for deduction is 10% of gross annual income.